A boutique law firm offering specialized expertise in certain areas of French and American law and expertise on the impact of cultural differences on cases arising within a judicial system. The firm places a high priority on the procedural aspects of every case and on creative ways to reach a satisfactory resolution. As a small firm each lawyer is thoroughly familiar with every new client and with every case that the firm accepts. 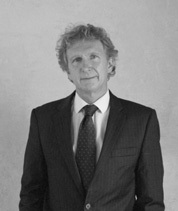 Ronald Sokol has argued cases in both the federal courts in the United States and in courts throughout France. His hands-on litigation experience in both judicial systems has given him a rare perspective into the litigation process and insight into the vital concerns of prediction and prevention. Having lived in the United States, Japan, England and France he is sharply attuned to cultural differences as they are reflected in the practice of law and in judicial outcomes. Olivia Lischetti’s legal education in international law, her experience in Algeria, the Hague, Iran, Kosovo, and London coupled with eight years of appearing regularly before the French courts have made her a formidable advocate in both civil and criminal cases. Daniel Sokol is not a member of the firm but has “Of Counsel” status. He is a member of the English bar with chambers in the Inner Temple in London. He is available to assist the firm in matters arising in the United Kingdom. His dominant areas of practice are personal injury and academic appeals. He has an international reputation in the field of medical ethics. Clients are mostly private individuals, including a number of high net worth families and several diplomats. They include as well, foundations, universities, not-for-profit associations and both large and small corporations. Offices are located in the village of Puyricard just outside of Aix-en-Provence. The village of Puyricard was founded in 1167 by Bertrandus de Podio Aicardo. It is today a part of the city of Aix-en-Provence. • London : 1 hour 35 minutes by plane.